Indotechboy — Greeting to all football fans in the world  . Now today, I will share a post that sure will attract all of you who love soccer or football, especially you who love to play football games and PPSSPP, it is a famous game Pro Evolution Soccer or PES 2018 Mod Patch by Chelito 19 v4 (ISO ROM). Save data with transfer update on the latest 2018-2019 season is also included . This PES 2018 Patch by Chelito 19 v4 is a Playstation Portable or PSP game. But it's no matter what device we have, because today all PSP games can be played whether using device running Android, Windows, iOS, or other operating system thanks to a technology called emulation. Including this PES 2018 PSP game ISO ROM Mod Patch by Chelito 19 v4, PSP games can be played on every devices that supports the PSP emulation technology. And one of the most recommended PSP emulator application / program that available almost on every popular devices and platforms is PPSSPP. So if you don't have the PSP handheld console game, you can play the Pro Evolution Soccer (PES) 2018 PSP ISO ROM game Mod Patch by Chelito 19 v4 on your device example on your Android phone or Windows PC using PPSSPP application / program. At least 1 GB RAM and Quad Core processor device is recommended. Although the original Pro Evolution Soccer (PES) game for PSP platform have stopped production until 2014, but the risen popularity of emulation gaming has took back all gaming enthusiast to play the oldscholl games on modern devices like Android, Windows, iOS, etc, including PSP games. And so, there are many modders / patchers group who began modding project, especially modding the PES PSP game. And one of famous PES PSP game patcher is Chelito 19. Besides all the great features and updates modded by Chelito 19 in this 4th version of their PES PSP PPSSPP ISO ROM patch work, savedata for latest transfer season of 2018-2019 is also included (download section at the end of this post). Yeah yeah, it's Cristiano Ronaldo who moved from Real Madrid to Juventus, I know . Game settings in your Pro Evolution Soccer PSP PPSSPP game like commentary language, camera, player cursor preference, may will revert back to default settings. If you have customized the players or teams by yourself in the edit menu, they may will gone as all players and teams data will be replaced by the one contained in this save data. Many items (but not whole) in the PES Shop like players, classic teams, stadiums, will be automatically purchased (I think those items are needed to be purchased before it can be modded by the Chelito 19 patcher team). PES credit (money needed to buy items in PES shop) will be set to maximum, 999999. Disclaimer: I share this modded PES PSP game only because it is a modded game that will not available in stores. You must have the original copy of Pro Evolution Soccer (PES) 2014 PSP game in order to legally play this game. Extract the save data zip file. Move folder C19P1059700... from the extraction folder to your /PSP/SAVEDATA directory. Run the PES 2018 Mod Patch by Chelito 19 v4 ISO ROM game! On next post, I will post about camera mod that will make this PES 2018 Mod by Chelito 19 v4 PSP game have an extra wide (far) camera angle (as seen in PES of Playstation 3 and newer  ). Also HD textures mode that can polished the PES 2018 Mod by Chelito 19 v4 PSP game graphic to look more awesome. So, stay tuned  . All credits are belong to the patcher team, Chelito 19 and Tutorialés Bendezu. 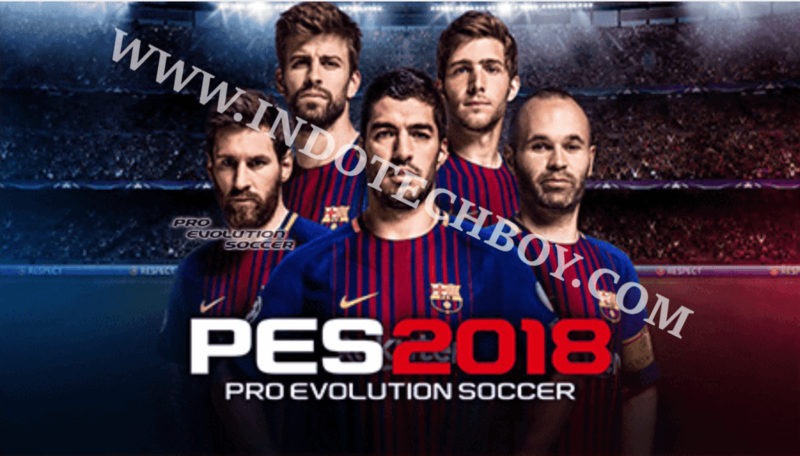 Comments (0) in "PES 2018 Patch Mod by Chelito 19 v4 + Save Data Update 2018-2019 Transfer Season PSP PPSSPP ISO ROM Game Download"